Gardeners all know compost is terrific stuff. But there's something even better than plain old compost, and that's compost tea. 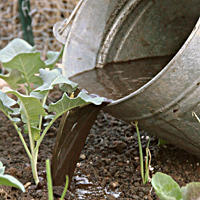 As the name implies, compost tea is made by steeping compost in water.